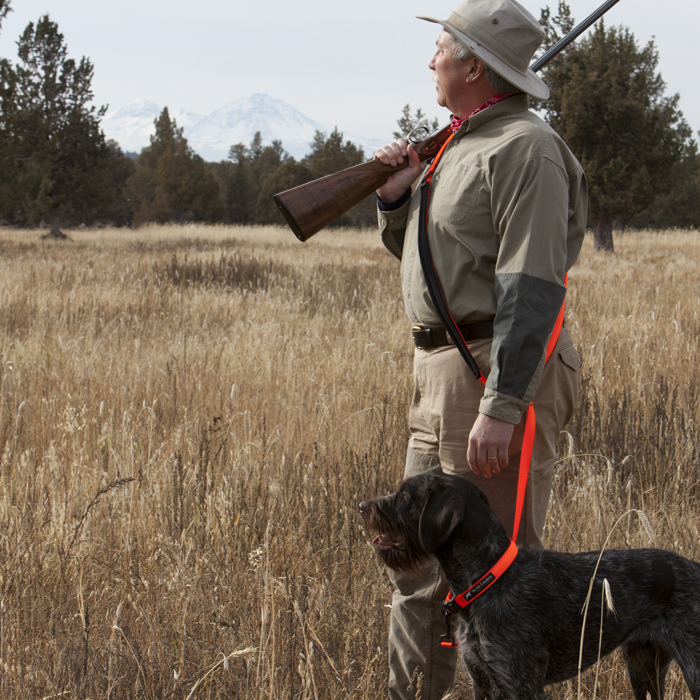 Comfort … for you and your dog and simply a better solution to the problems bird hunters and dog owners face every day in the field. That’s my goal, and my Signature Series of products will help. Every product is unconditionally guaranteed for the life of your dog. No questions asked; return if not completely satisfied. You’re dealing direct with the creator, so you’re assured of personal service and support. And every item is Made in the USA. 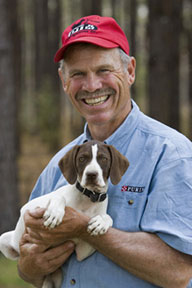 George Hickox conducts training schools for owners and their dogs across North America. The Real Bird Bumper is an integral part of his retrieving training. More on George, his seminars, e-books and schools here. All materials are strong, safe, non-toxic and sourced from U.S. companies. They will become heirlooms much like your favorite shotgun, passed down from dog to dog, generation to generation. But even more importantly, they will make your hunting and training better, more efficient, and more comfortable … for both of you. Now endorsed by Ronnie Smith! Original Real Bird Bumper: The most realistic retrieving dummy in the world. Same shape, weight and size as the real thing plus a 1000-denier Cordura “skin” to encourage a whole mouth grab. Floppy like a shot bird, with an articulated wing to familiarize dogs with the challenges of navigation while “blindfolded” (lock it down for pups to discourage cheating). No hard plastic parts to poke a dog’s eye or encourage head grabbing, no rigid foam to encourage hard mouth, and it floats! The most expensive retrieving bumper on the market and worth it! ($34.95 + $5.00 shipping & insurance). CLOSE OUT PRICING: “Waterfowler” Jaeger lead: Over-the-shoulder lead in camo. Instead of a snap at the dog’s end, there’s a slip lead. 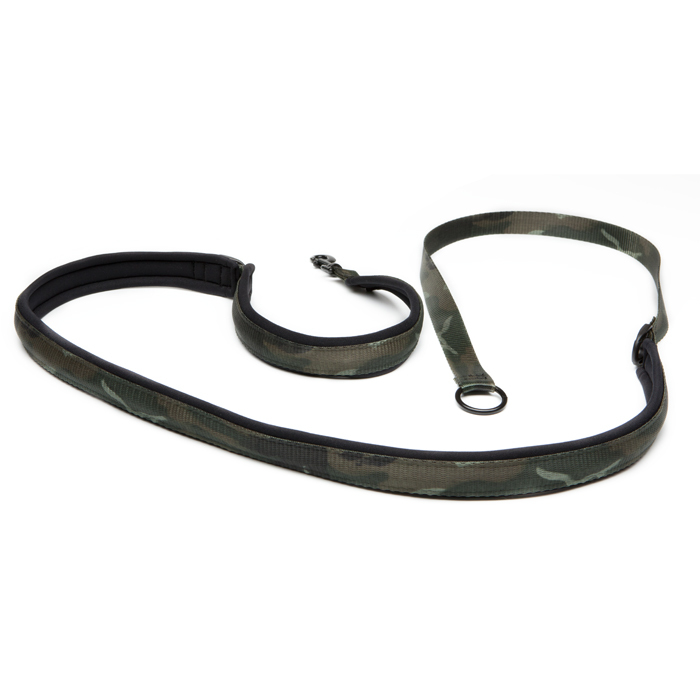 Walk up to the line, ease off the loop, and yell “Back!” Length: as a traditional lead, 70″ to where slip collar goes around dog’s neck; over the shoulder: 58″. $25.00 plus $5.00 shipping & insurance. Closing them out! We’ll refund $5.00 on every purchase. Multi-product order? Simply order what you like, one item at a time. We’ll figure the right shipping amount and refund you the rest! SORRY, NO CANADIAN SHIPMENTS. Looking for DVDs of the show? Go here. Looking for my book? Go here. on March 25, 2019 at 4:25 am | Reply jerry hawkins..............hoyt,ks. scott, if you had to chose between a SxS or over/under; which would it be?….as for me, it’s a SxS cz “bobwhite” in 410 ga. i’m older than you. jerry. I love my CZ and am partial to SXS. We’ve done at least five hunts with Al Gadoury that I can recall, Rick. While I’ve admired his old guns for almost a decade now, I can’t recall who made them, nor what chokes and loads he uses. But he is an incredible shot! Scott, with all the good stuff that you use to sell such as the “soft collar” why did you quit selling it along with other things?? Really would like to purchase a few things but not available. I stopped selling that gear because not enough people bought it. There is a critical mass required to justify manufacturing, staffing for distribution, etc. The orders just didn’t get there in sufficient numbers. Good stuff don’t necessarily generate enough sales. Scott, I can’t find a Signature Series collar anywhere. The first one I bought almost five years ago finally broke after relentlessly beating the crap out of it every single day. The plastic on the latch broke. It’s amazing it lasted as long as it did. Will there be more available at some piint? Thanks, John from Feasterville Pa. Sorry, I quit making them. I do have a few in large if you’d like a replacement. Scott, are the orange leads and collars still available? Wish I could help Carlos, but we discontinued that product. Scott met you several years ago at gaea fair in Ramsey MN just recently hunted Kansas as in your Jan 2017 show hunting was tough in your show one of your hunters should of been wearing orange may be land owner but res are rules great show just pointing out safety and role mottos. We do what we can, Mark, while also trying to be good guests on someone’s land. I had seen some previous comments about a blaze lead and had trouble finding the link for it. I was going to purchase the lead and the bumper at the same time. Could you point me in the right direction please? Love the show by the way a lot of good information. Sorry Jason, we are sold out of the leads and it will be several months before we get more. There is the camo version with a slip-lead, that I use quite often. I have a son that moved to Oregon some years ago (enviro biologist) who is also an avid flyfisher/hunter. I have visited on several occasions and, though we don’t hunt preserves generally, I hope to see you out there someday. You are very kind, Jack. Thanks. Where does your son live? Don’t know that I have one … anyone else? Here is one that works on pheasant breast but should work on thighs as well. Start a brine for however long you like, I prefer a couple hours. Dry off the meat and then soak the pheasant in the orange juice for 15 min. Season with salt and pepper to taste. Add the orange zest and wrap in bacon. Smoke over Hickory until ready but be careful not to dry it out (the bacon should help with that). I am tempted to personally deliver them. Instead, I’ll invoice you via PayPal, then you give me the shipping address and we’ll send them there to await your arrival. So are the smaller bumbers not being manufactured any longer? I was hoping to pick up more. Also at one point there was going to be a duck size/wieght bumper, have you decided to forgo that size as well? Christoper, we are only making the pheasant size at this time – little demand for the smaller one. A larger one is still a ways off for the same reason. Wish I could help, Bill. I handle my own shipping and am out of the area until early November. Have a good hunt. I bought the smaller training dummy from Filson and my dog would go nuts for it; I say “would” because it sank on the third water retrieve in the Puget Sound. Is it common for them to sink, or did I purchase a defective one? Hard to say without looking at it and I’m not going to swim! Email me at scottlindenoutdoors@gmail.com and we will replace. 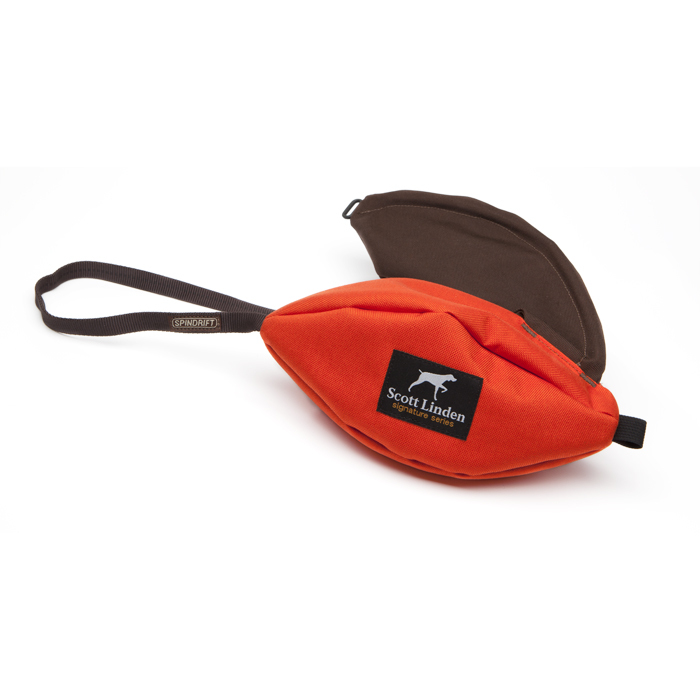 We have discontinued the small version but a pheasant size would probably be appropriate for your adult dog anyway. They do float, but we do not recommend them for more than a couple water retrieves then a thorough drying out. Scott came online to buy the uplander lead, but only the waterfowler is available? Saw the picture of the uplander in action, but no “donate button. Limited supply and don’t want to disappoint – make your order, Dave and I’ll ship an orange one. Scott, I would also like to purchase the uplander lead. Do you have any in stock and if so, how do I order as there is no “donate button”? That’s great, and good luck with the pup! We’ve discontinued the quail size Bumper – just wasn’t practical as the whole idea is to encourage even young dogs to “open wide,” when learning to retrieve. Became more of a toy. I’ve got just a few Jaeger leads left so took it off the site until production ramps up. We can fill you order – just include a “note to seller” in the box and we’ll send the orange one in place of the camo version. Thanks. Hey Scott! I was wanting to buy the bird bumper, and i was wondering if the pheasant size would be good enough for duck hunting? I also was wanting to know if there were any discounts or something that would chip the price off a little. Thanks for your interest Eli. The Bumper weighs what an average ringneck weighs, 1 lb. 9 oz., probably almost mallard weight. So it would probably simulate a duck pretty well. The behavior is more important – floppy, pliable, with a wing, etc. Pricing? You might shop around and see if an online retailer is selling it at a lower price. It’s the best bumper on the market and priced well below where it should be. Lifetime guarantee on materials and workmanship when you buy direct. EXCELLENT COMMENTS/ANSWERS TO A MULTIPLE OF OUTDOORSMEN QUESTIONS…THANKS & MERRY CHRISTmas!!!! would like to order 2 bumpers and a comfort collar, how do I do this on one order? I am assuming that shipping will be less. Thanks Paul. Simply order everything one at a time, we’ll combine the order and refund the overage on shipping via PayPal. on May 29, 2013 at 7:39 pm | Reply Scott D.
Hi Scott. I’m interested in the comfort collar. What is the best way to put my name and phone numbers on the collar? Can a brass plat or something similar be attached? Scott, I don’t recommend riveting a plate to the webbing and neoprene as it cuts some fibers. The “D” ring has three different places to attach a tag via a split ring. Works for me! Might be dumb question but how do you lock down the wing ? Not dumb at all. Thread the throwing strap through the D-ring on the tip of the wing, lay the wing flush against the body. Pull the strap tight and tie an overhand knot in it right at the D-ring. What size is the quail bumper? Can you please post a picture of it ? Go here and see it in action. Get all the details: http://www.realbirdbumper.com. When is the ruffed grouse size bumper going to be available? David, the pheasant size would fit your needs. Being a little larger and slightly heavier than a ruffie, it will encourage your dog to pick up correctly and hold … grouse will be easy after some practice with the pheasant size. on November 23, 2012 at 7:15 pm | Reply Dave H.
Scott, I love your show. It’s the right balance of entertainment and education. I was wondering if you could tell us the type (or brand) of shooting gloves you wear. I’m looking to buy a pair, and was hoping for some recommendations. Thanks. Thanks Dave. That’s what I’m shooting for. I love my Filson Original Goatskin gloves. A bit spendy, but worth it. If you’re economizing, go to a western store and get some calf roper gloves – usually they’re deer hide and work almost as well. What side by side is that you use in your shows? Carmine, I’m now using Webley & Scott shotguns … great guns, excellent value. Thanks Scott. I’ve been in the market for a nice side by side that doesn’t require taking out a mortgage,lol. But I notice your gun has a straight stock (my preference) and the SxS’s on W&S’s website are only pistol grip. Is this the case? Mine was special; hopefully they will be available soon. There are some good Spanish guns by Ugartachea at Lion Country Supply with a straight stock if you can’t wait. How long are your leads? Glad you asked – I’ll put that on the web page. 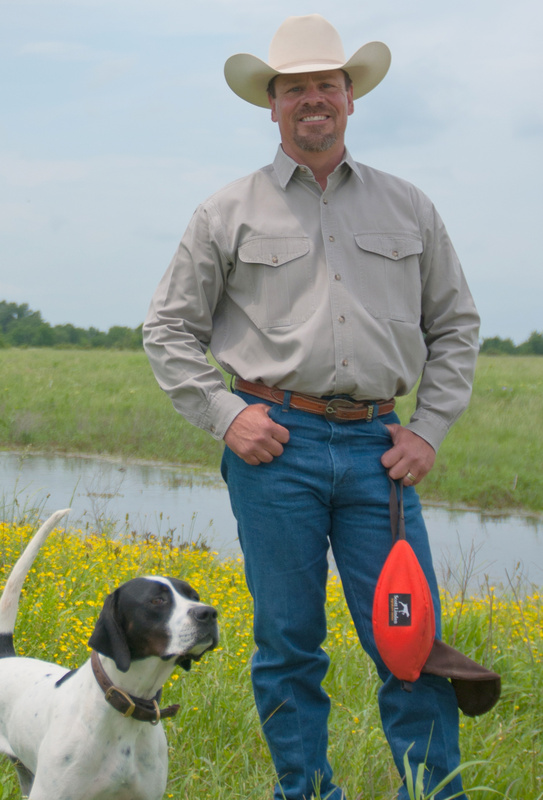 Waterfowler is 70″ (from hand loop to where slip lead goes around dog’s neck) when deployed as a traditional lead; 58″ inches when used over the shoulder. Uplander is 78″ from hand loop to collar clip; 58″ when used over the shoulder. Thanks Mike. Yes, there is one “D” ring that will hold tags and where you’ll clip your leash. Three different mounting points on the D ring.